Learning Analytics and the Academic Library: What are the Intellectual Freedom and Informational Privacy Issues? Higher education institutions are increasingly looking to mine student data in order to gain new, actionable insights into student behaviors using learning analytics technologies. Purportedly, these insights can help institutions improve student learning outcomes, increase student engagement, decrease time-to-degree measures, and ameliorate graduation rates. 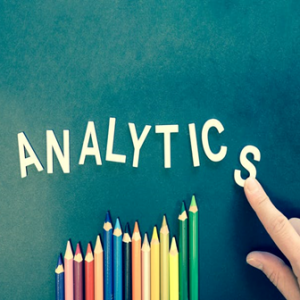 While on the face of it these aims are worthy of the resource expenditures necessary to build capacity for and implement learning analytics practices, there are serious serious threats to long-held values. Student privacy, academic and intellectual freedom, and the trustworthy relationships necessary for successful teaching and learning experiences are all affected by data mining practices that dig into and expose intellectual and social behaviors represented in a wide variety of data. This webinar will discuss the on-the-ground practices of learning analytics, how learning analytics specifically threatens these values, and why institutional actors–such as faculty, librarians, and advisors–should take notice. Special emphasis will be placed on particular concerns that arise when libraries participate in learning analytics with relationship to ALA’s Code of Ethics.